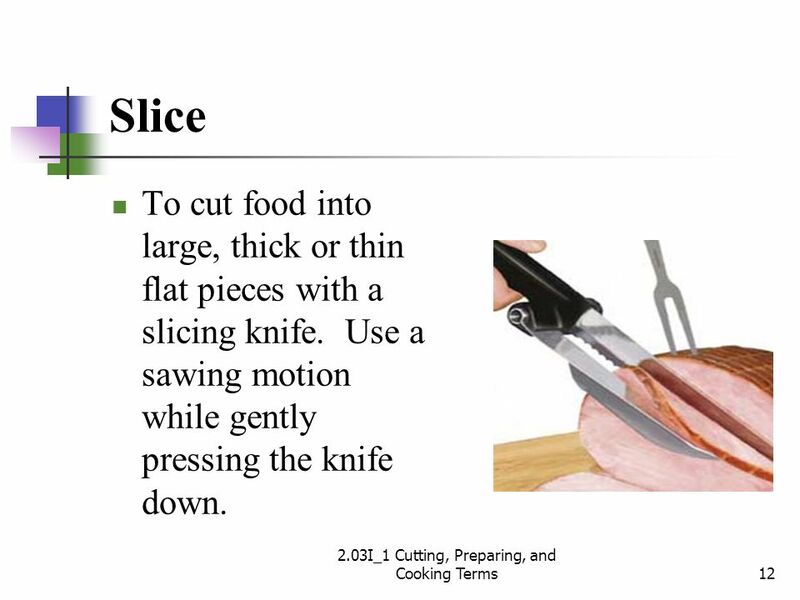 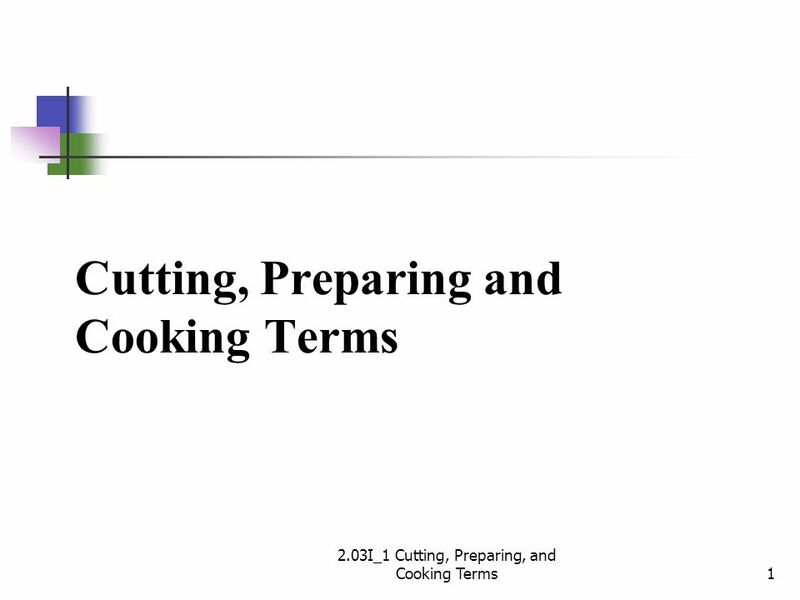 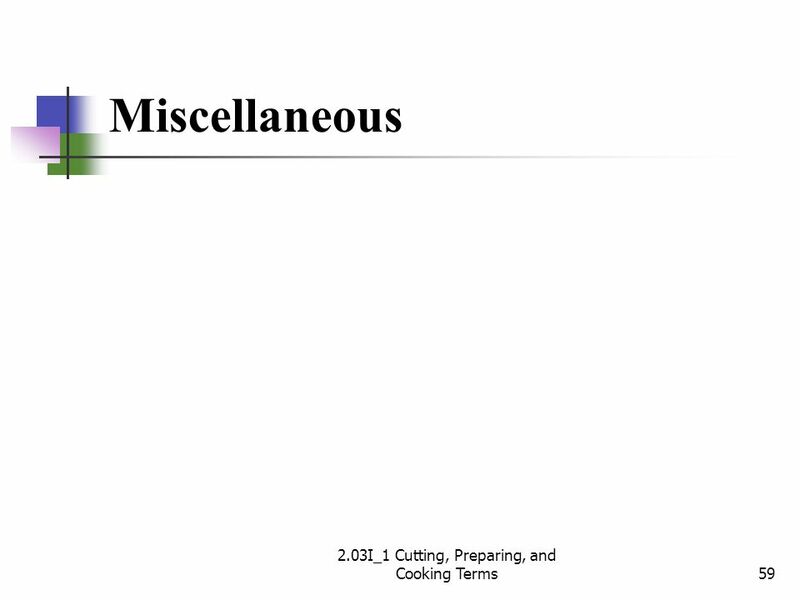 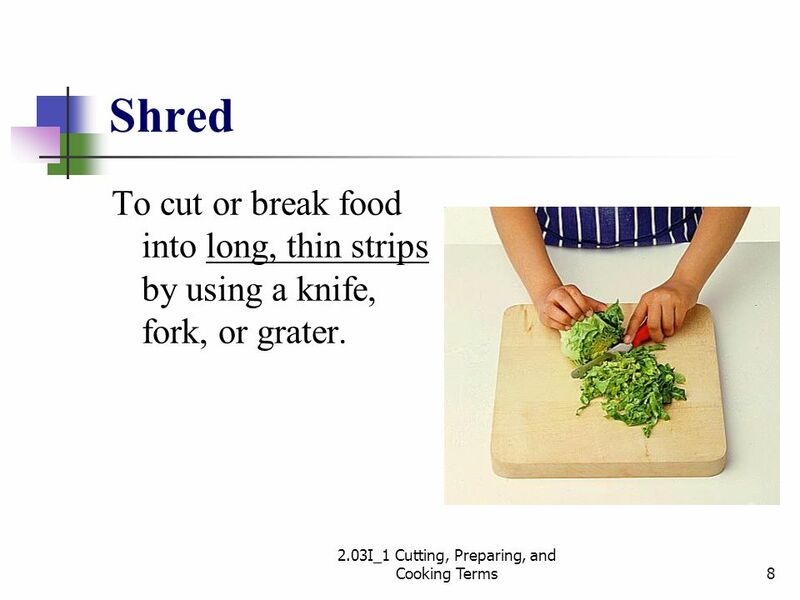 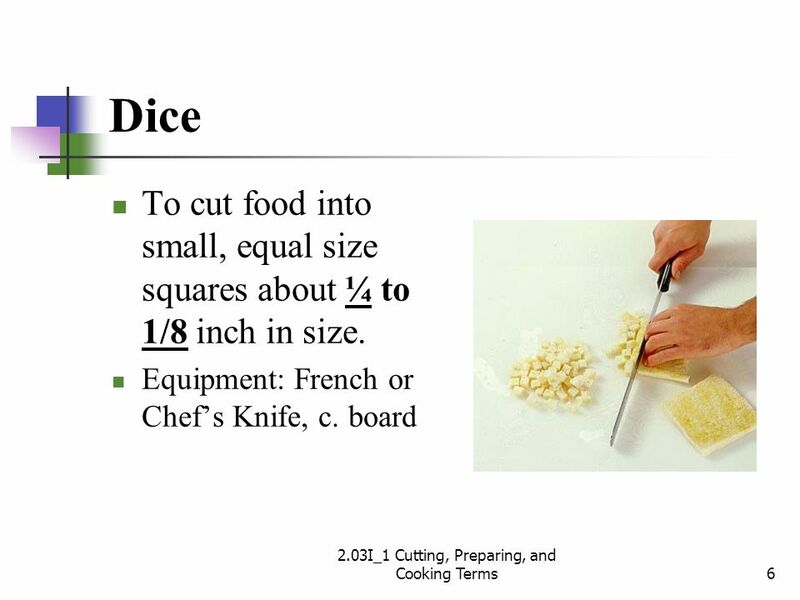 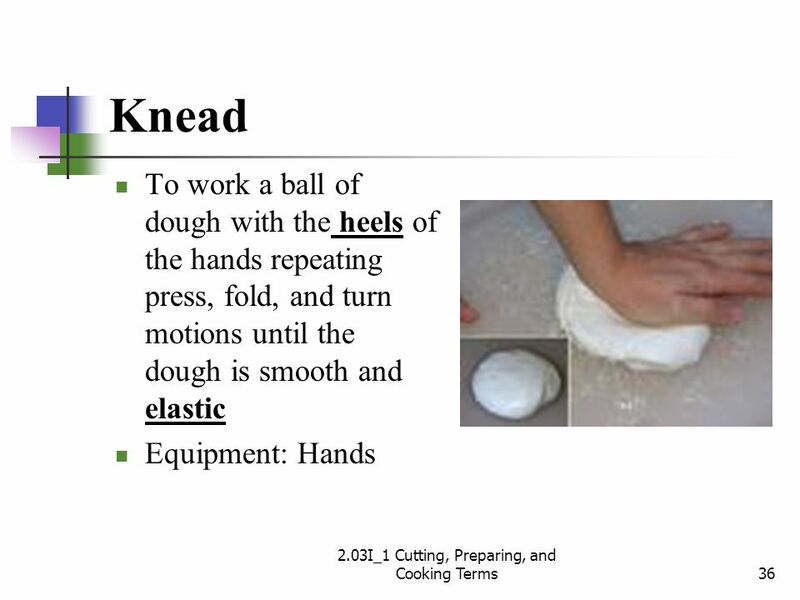 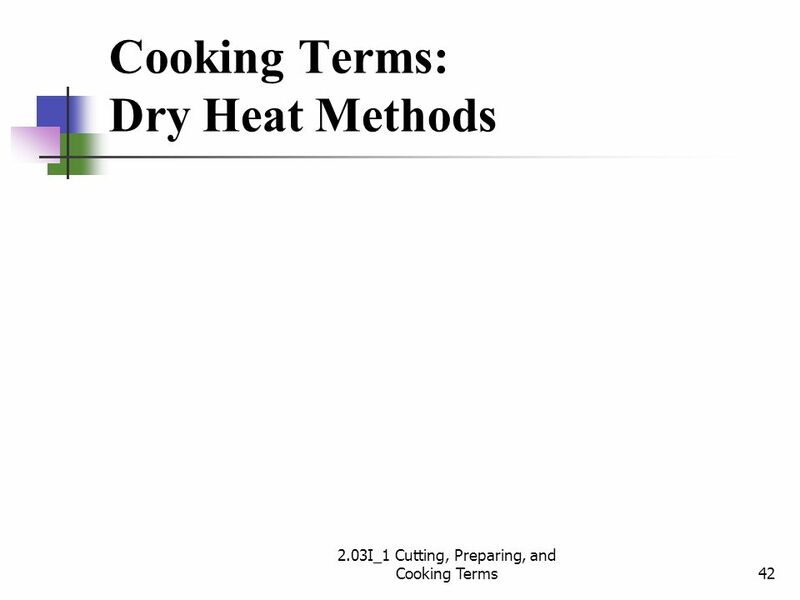 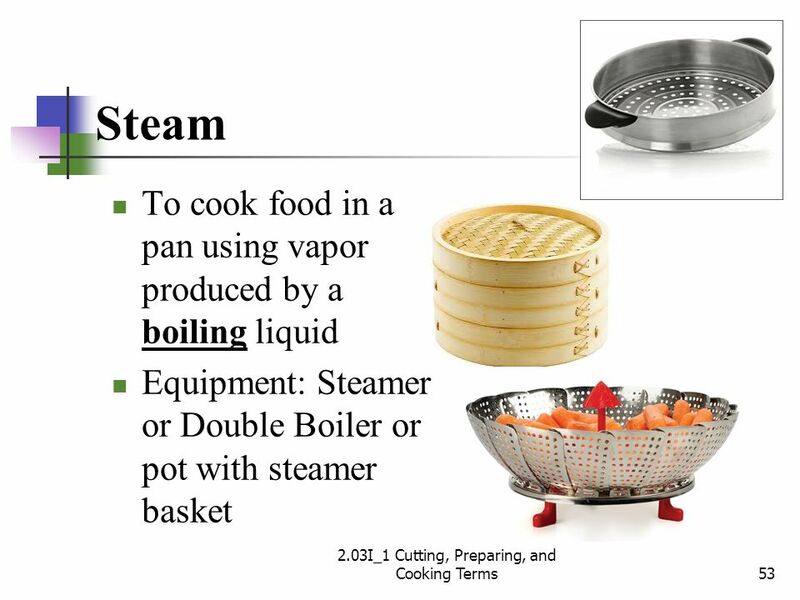 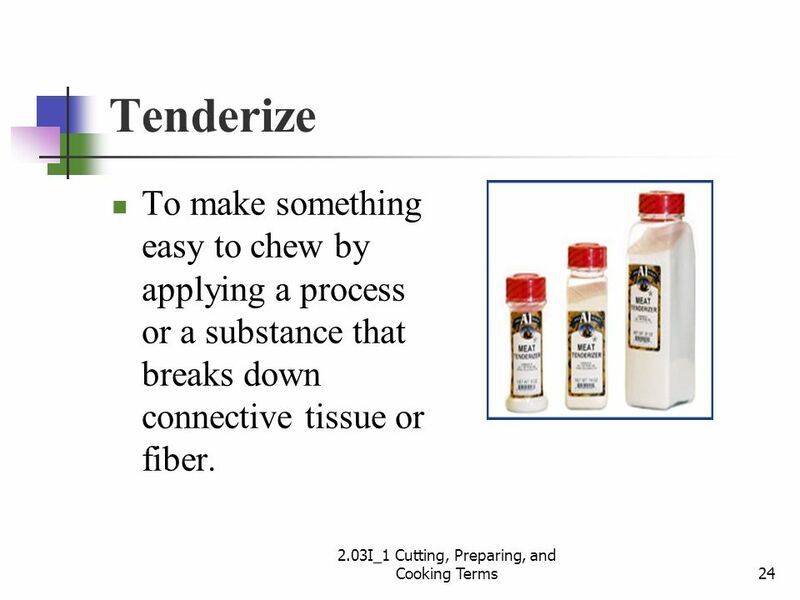 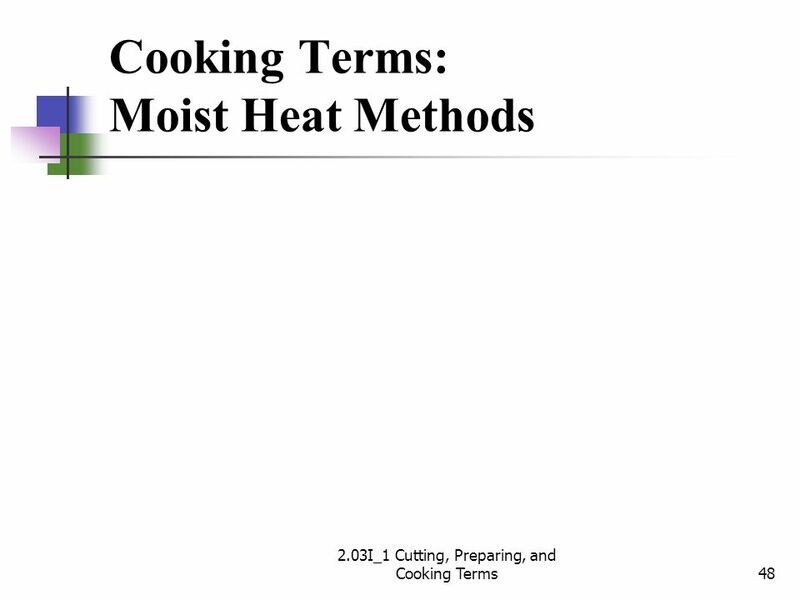 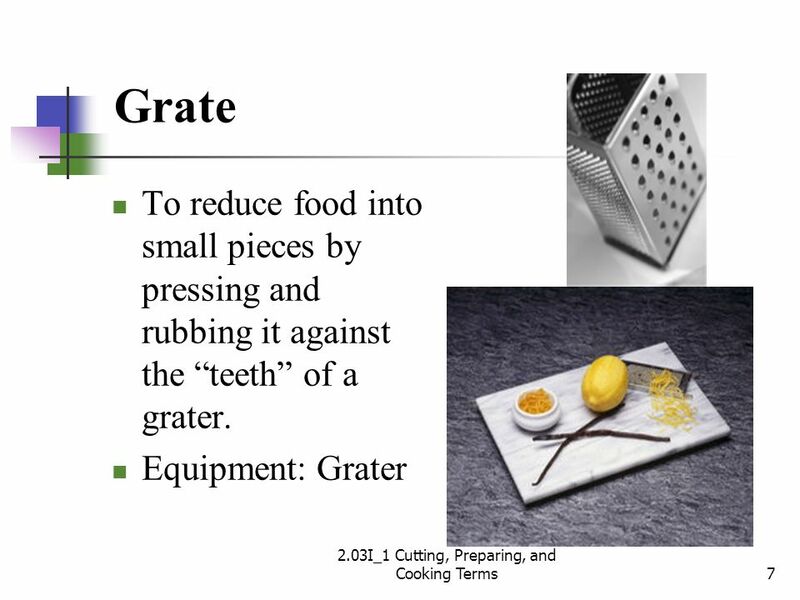 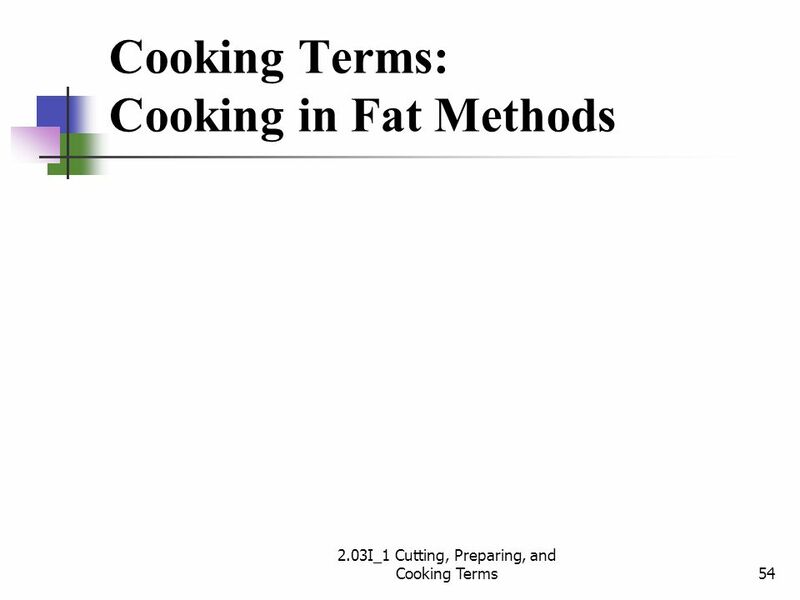 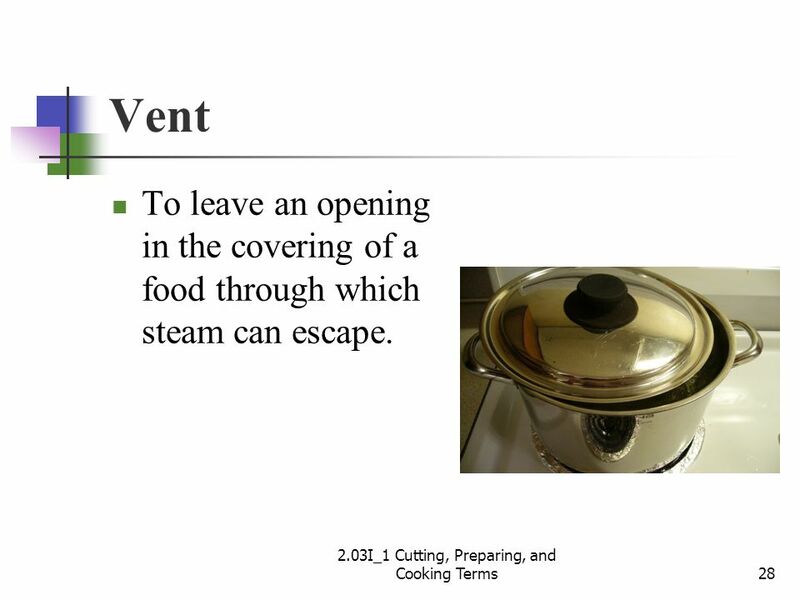 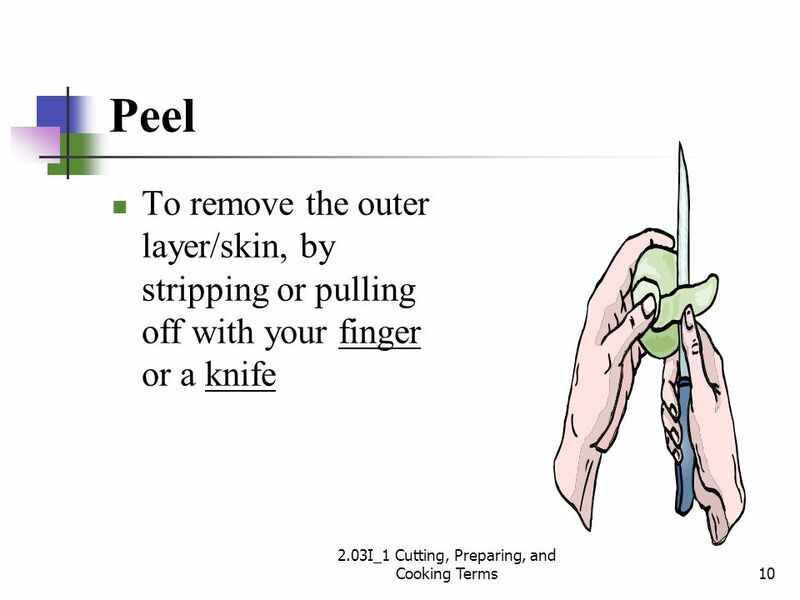 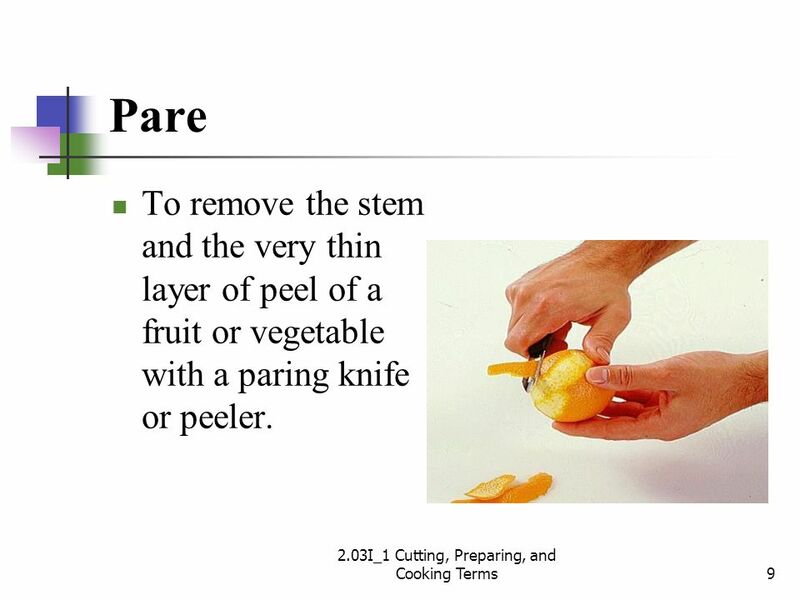 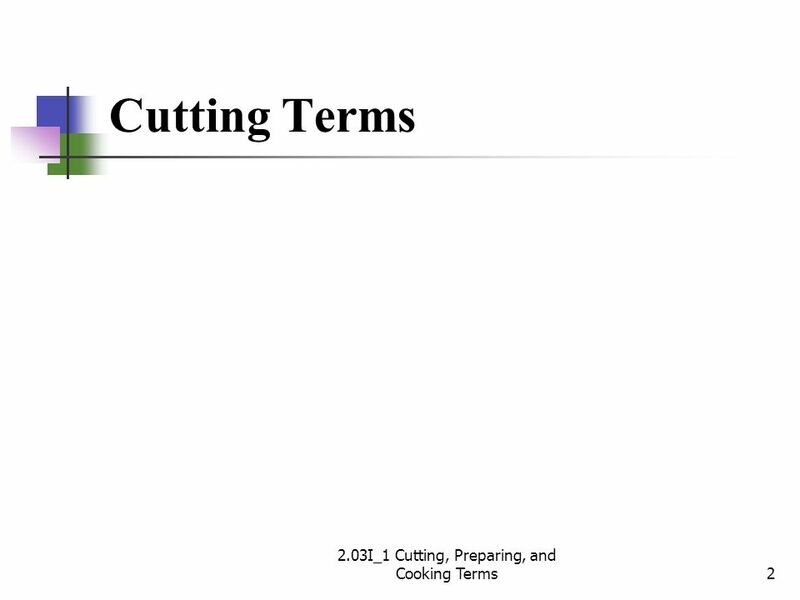 Download ppt "Cutting, Preparing and Cooking Terms"
Terms you need to know! 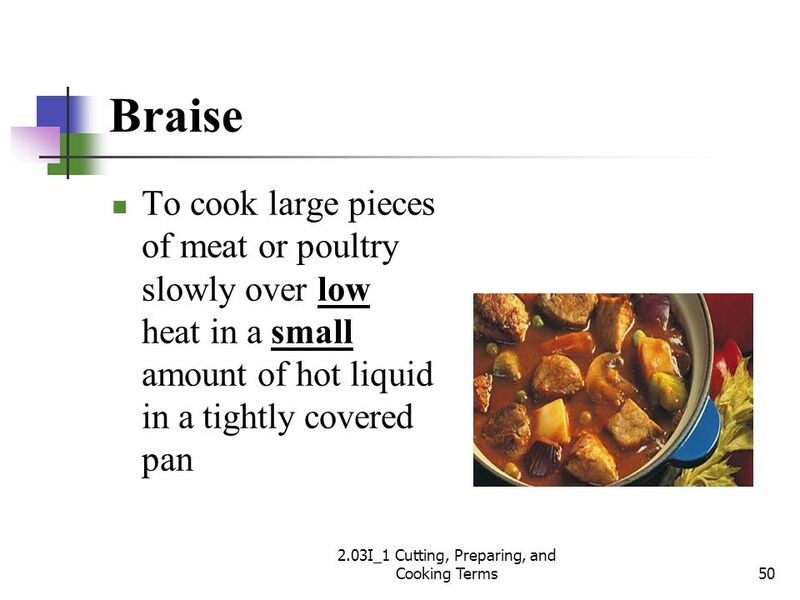 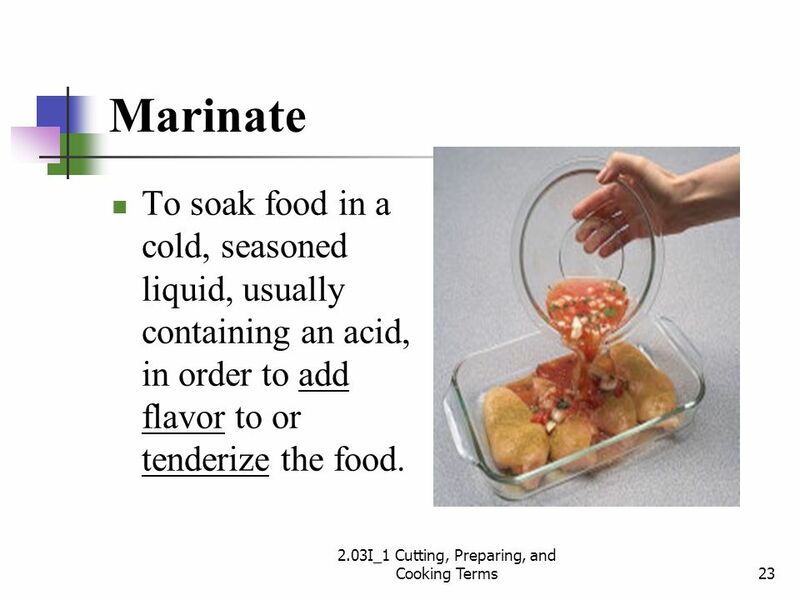 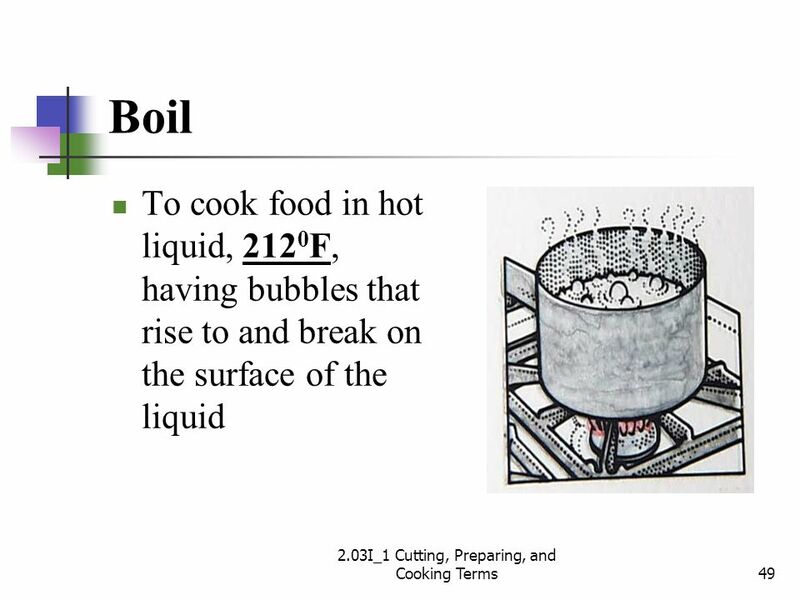 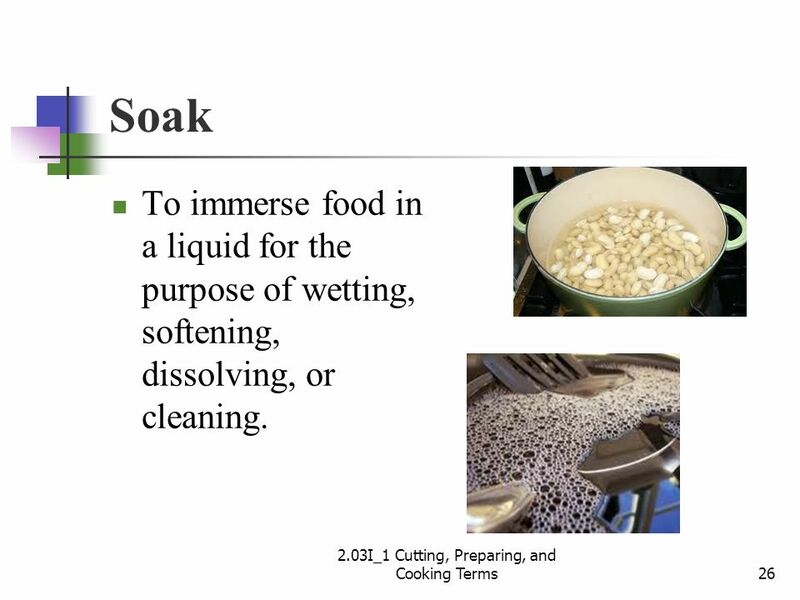 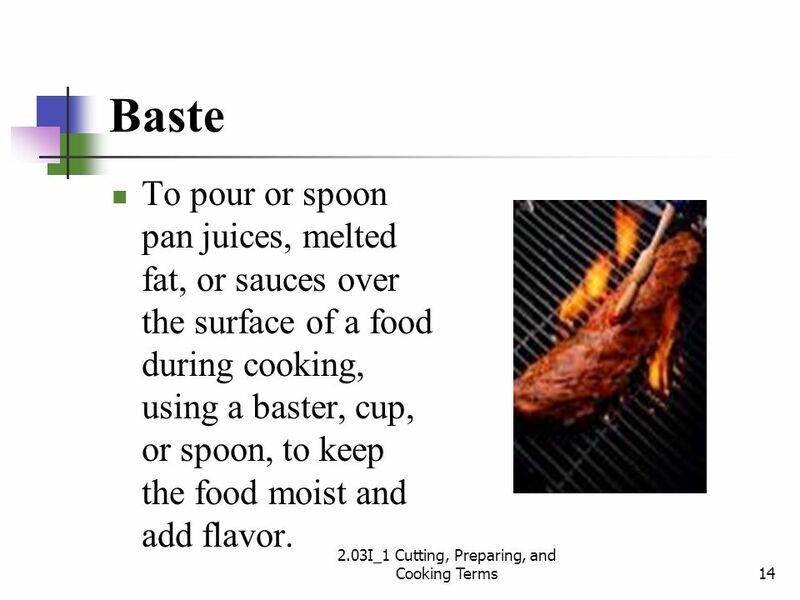 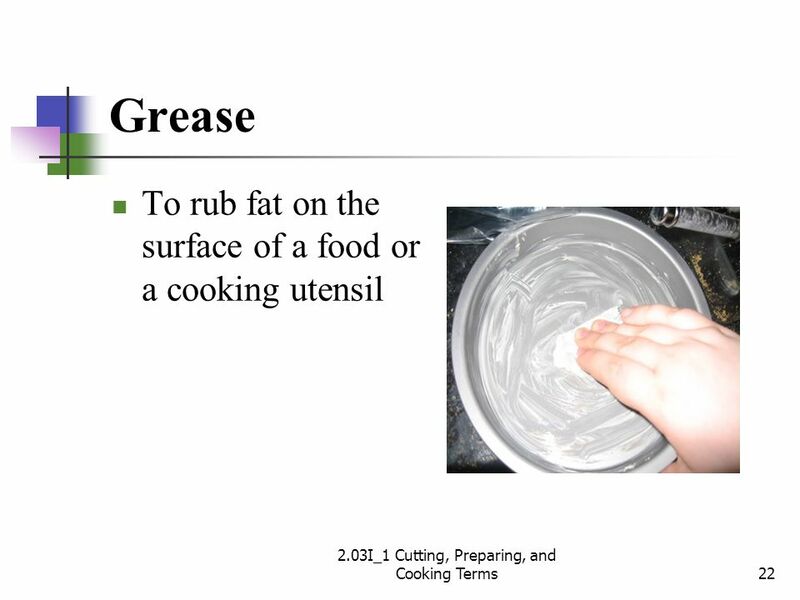 Baste: to moisten food while cooking, by spooning liquid or melted fat over the top of the food, prevents drying and adds flavor. 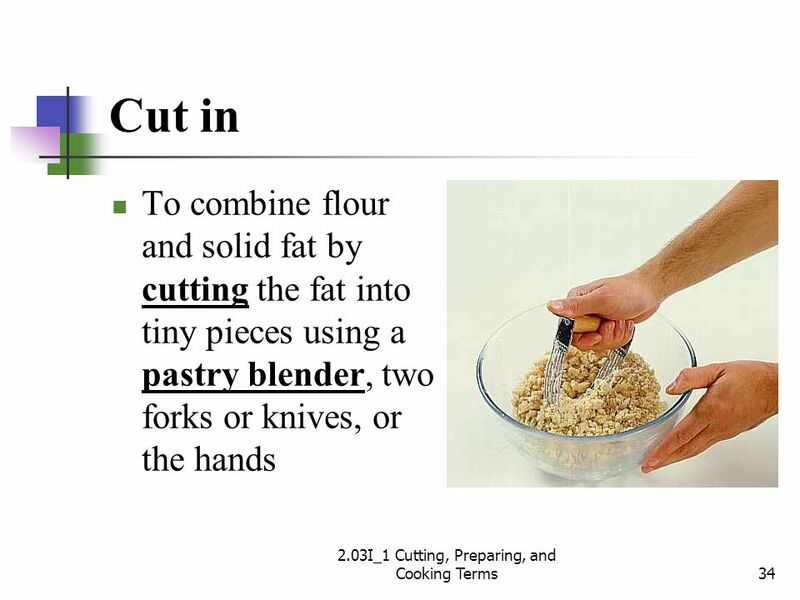 Following a Recipe The do’s and don’ts!. 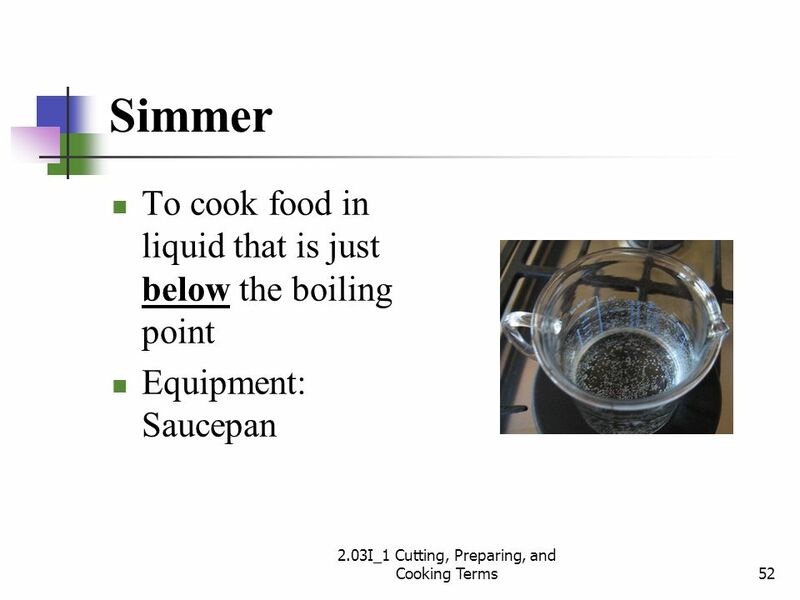 Cooking Terms The Language of the Recipe. 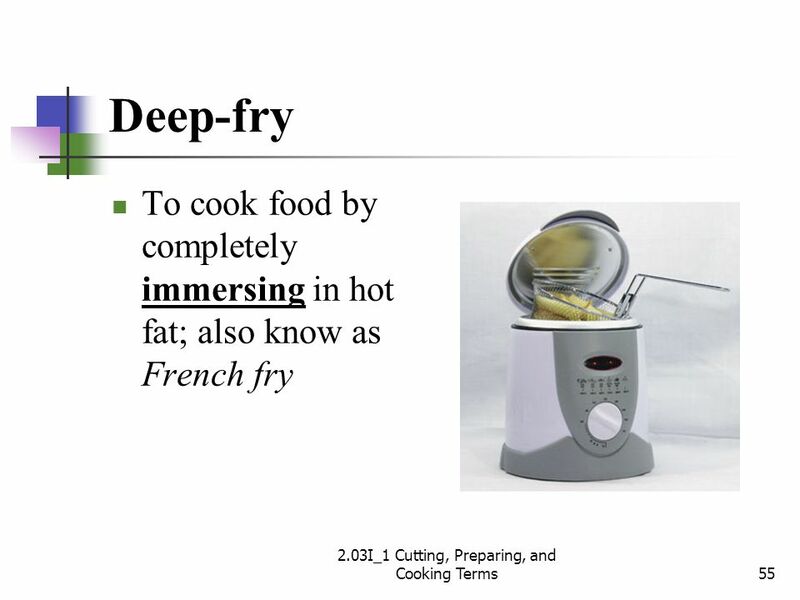 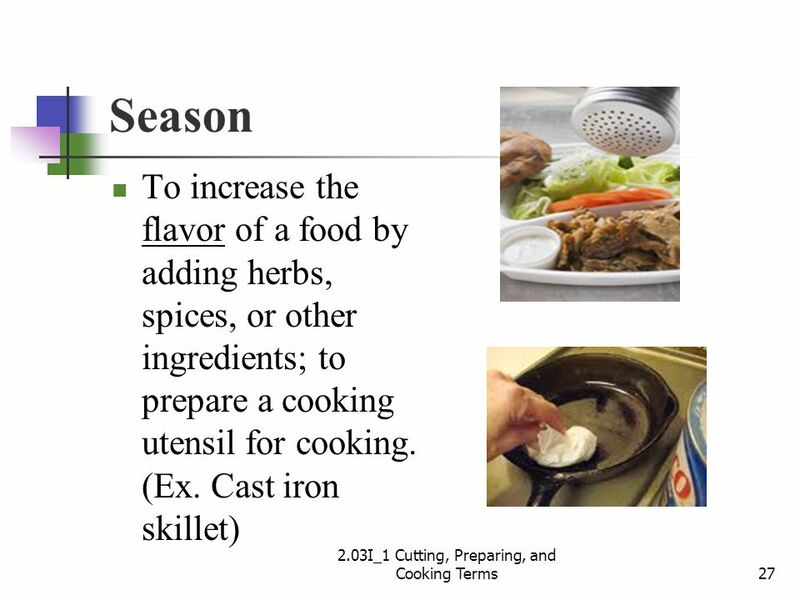 Become familiar Terms are important tools for the cook. 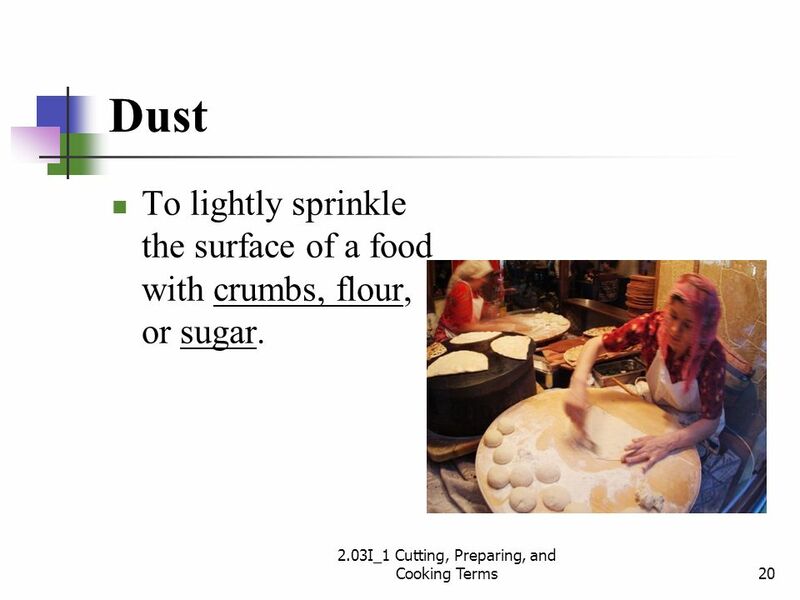 Each has its own meaning. 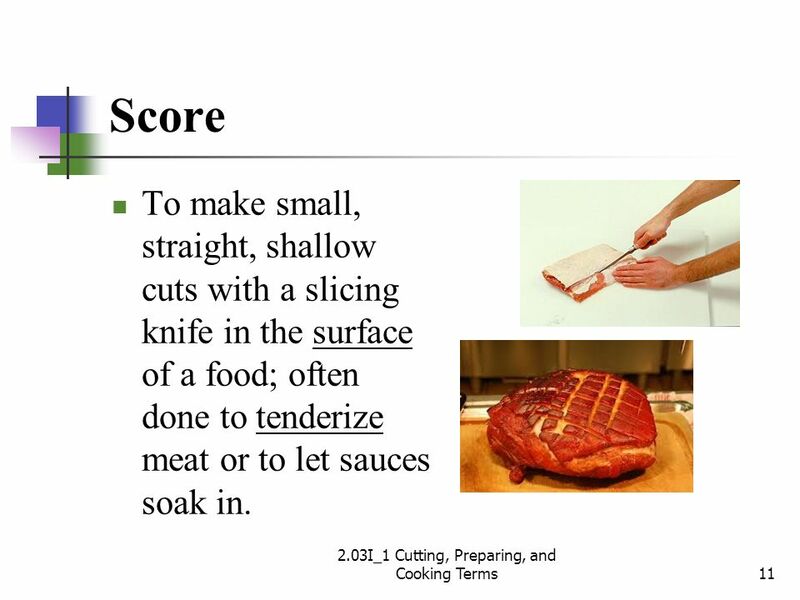 Achieve best results. 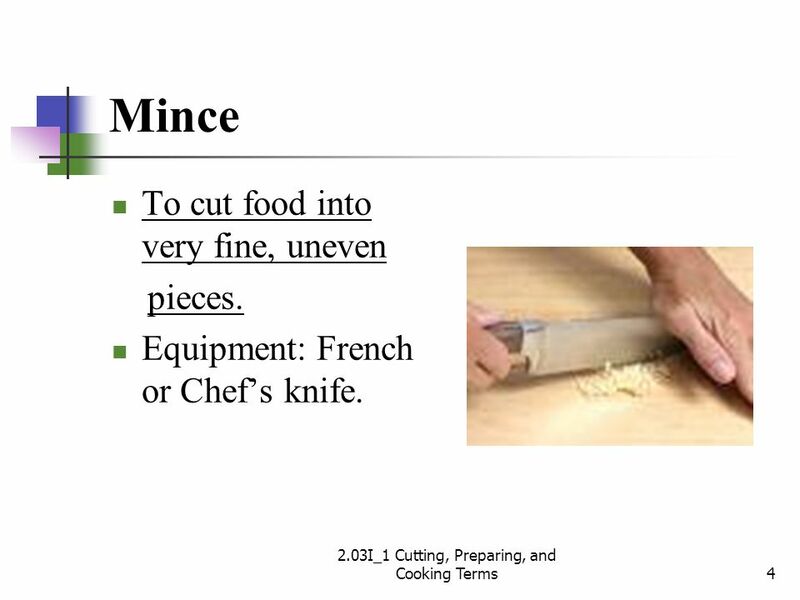 Equipment & Terms. 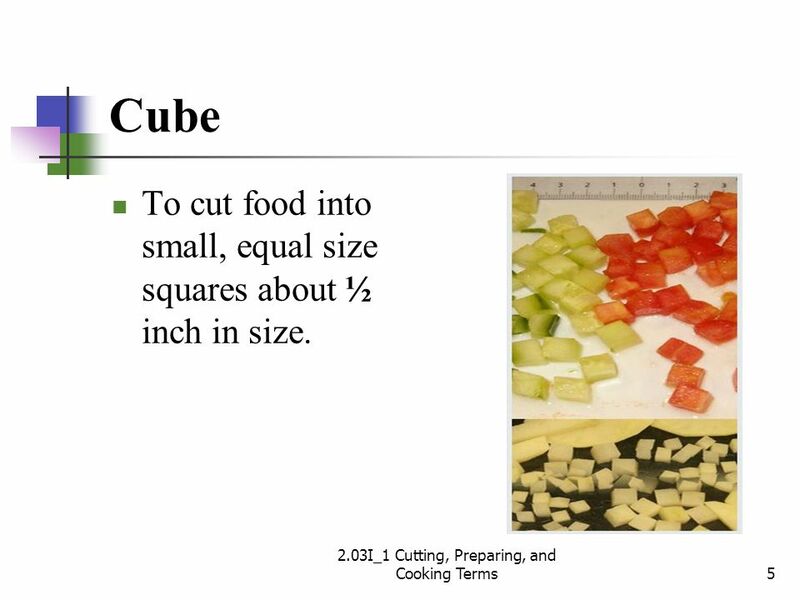 Measuring & Equivalents Review Statements Brown sugar – pack it into the cup. 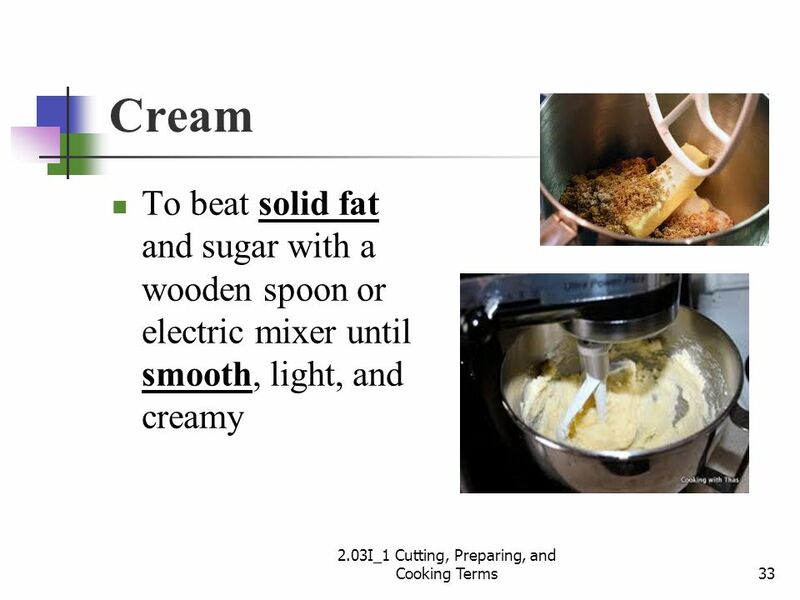 Brown sugar – pack it into the cup. 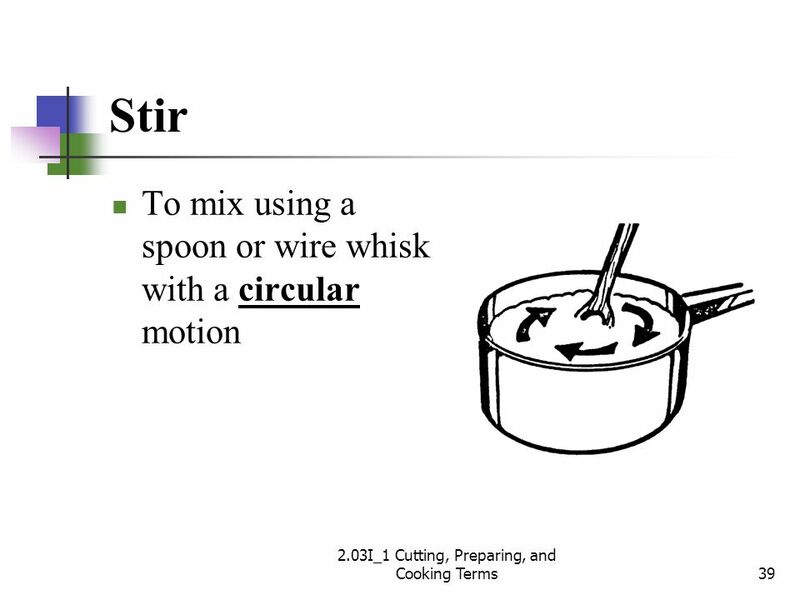 Flour – stir, spoon. 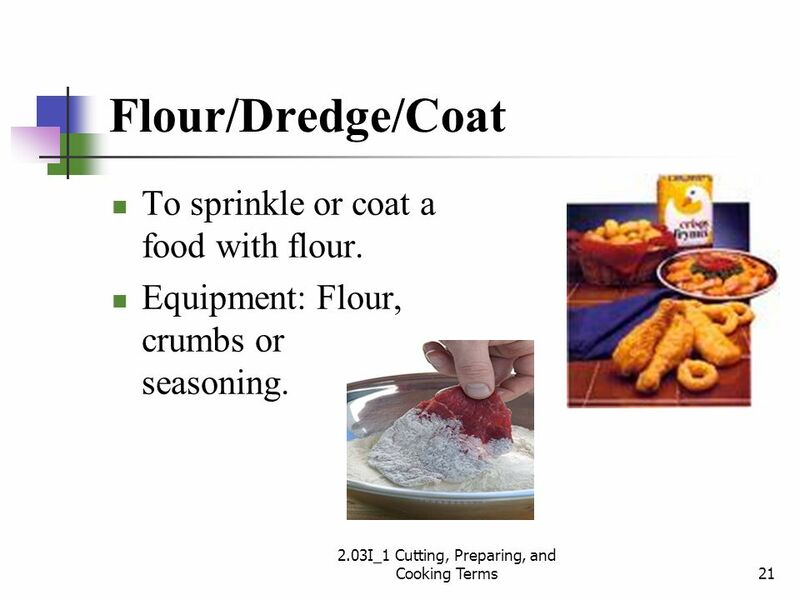 Equipment & Terms. 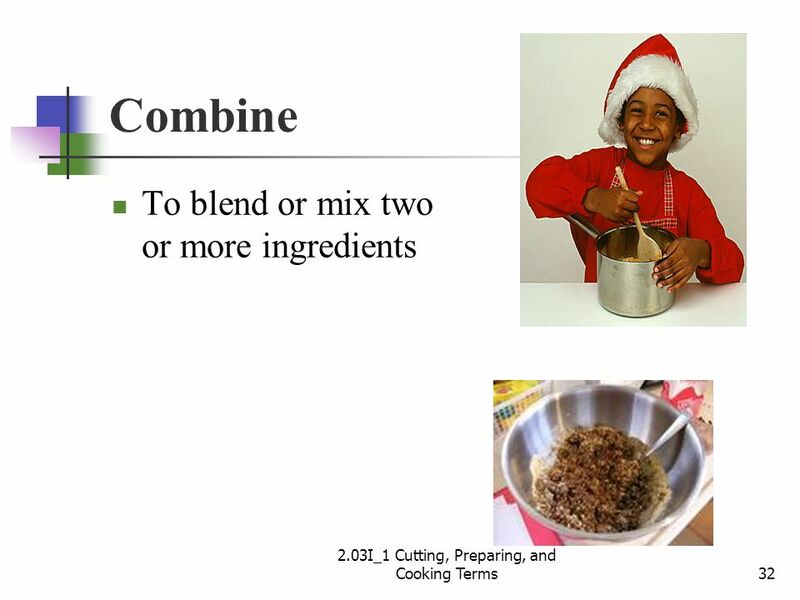 Measuring & Equivalents Review Statements Brown sugar – pack it into the cup (like wet sand) Brown sugar – pack it into the cup (like. 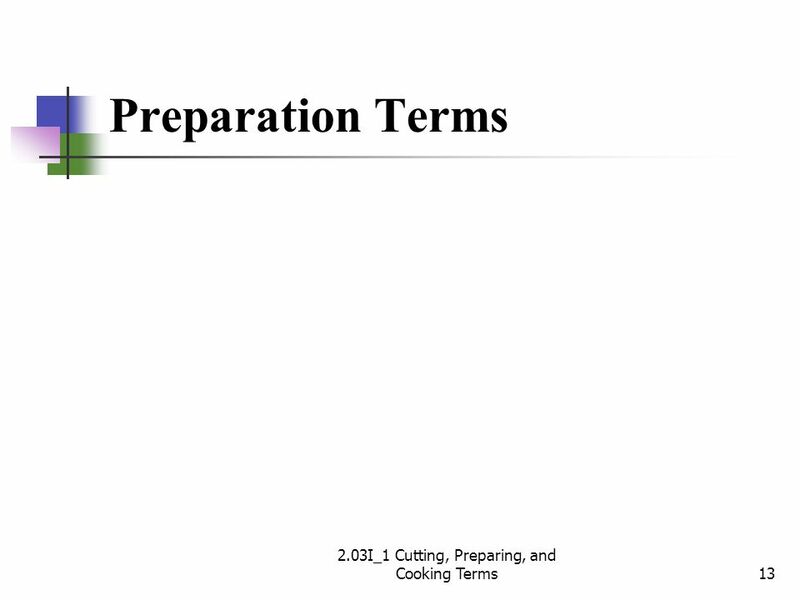 Preparation & Cooking Terms. 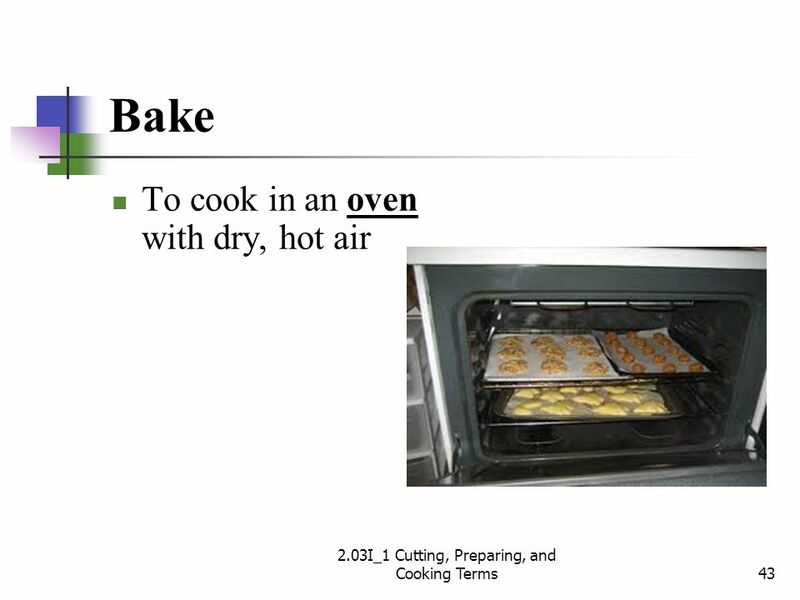 Bake To cook in the oven by dry heat. 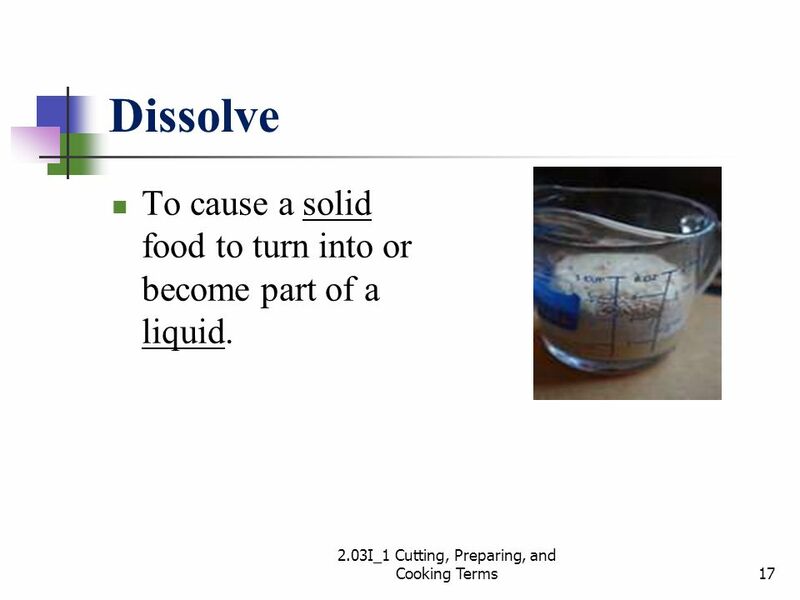 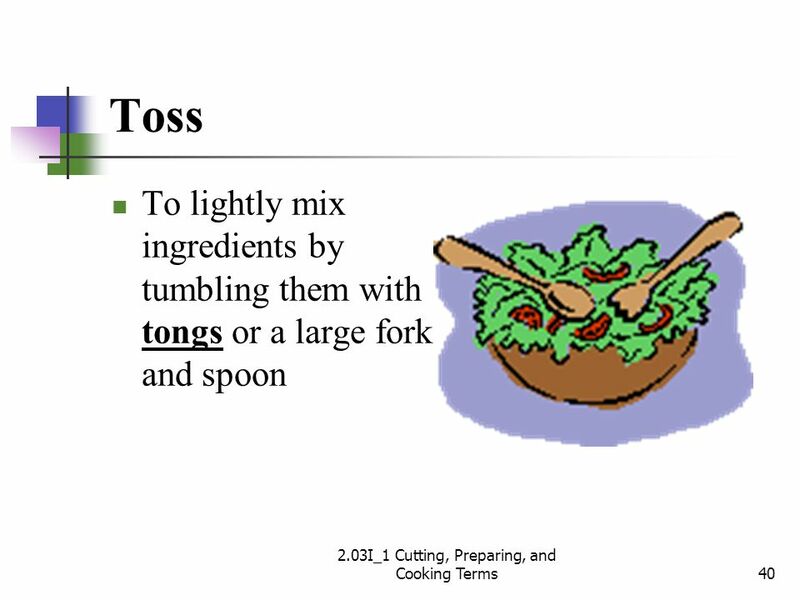 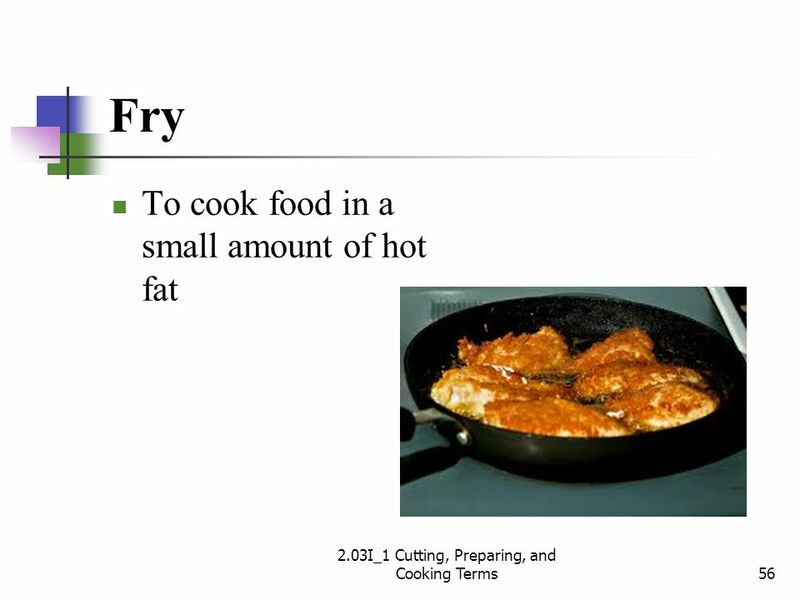 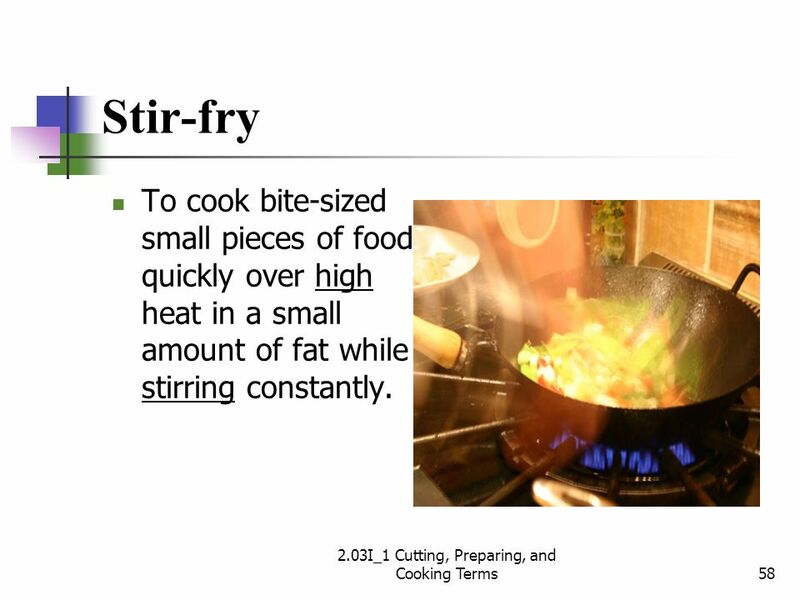 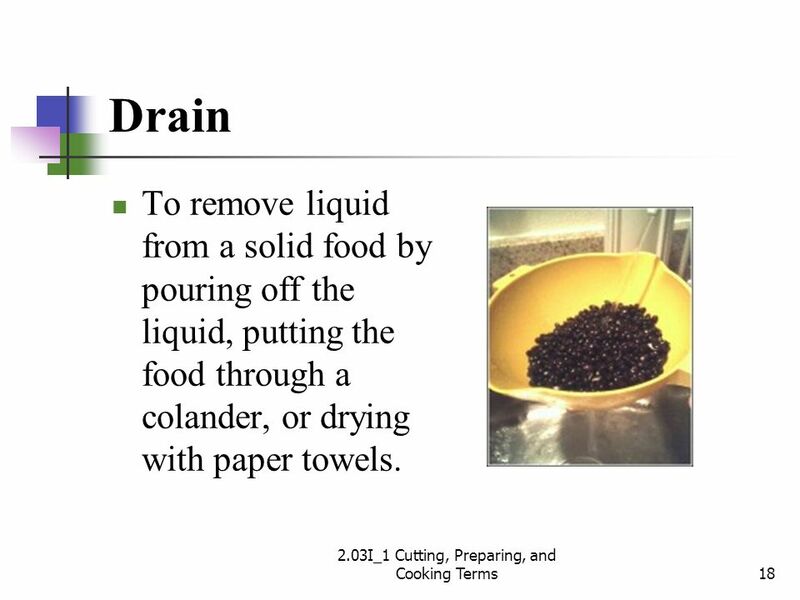 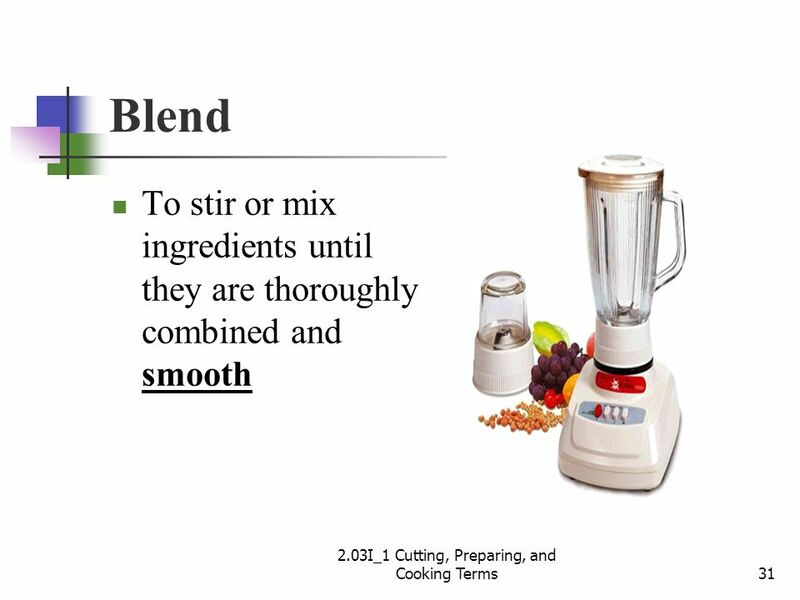 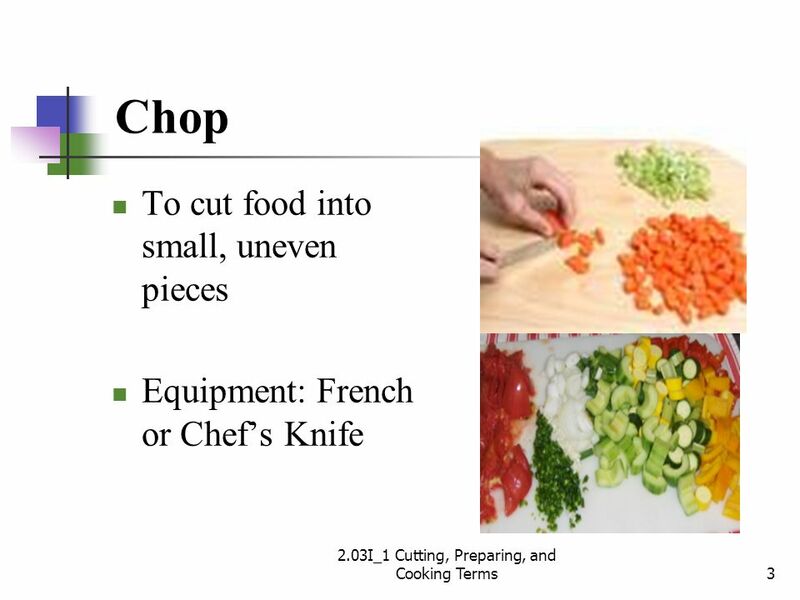 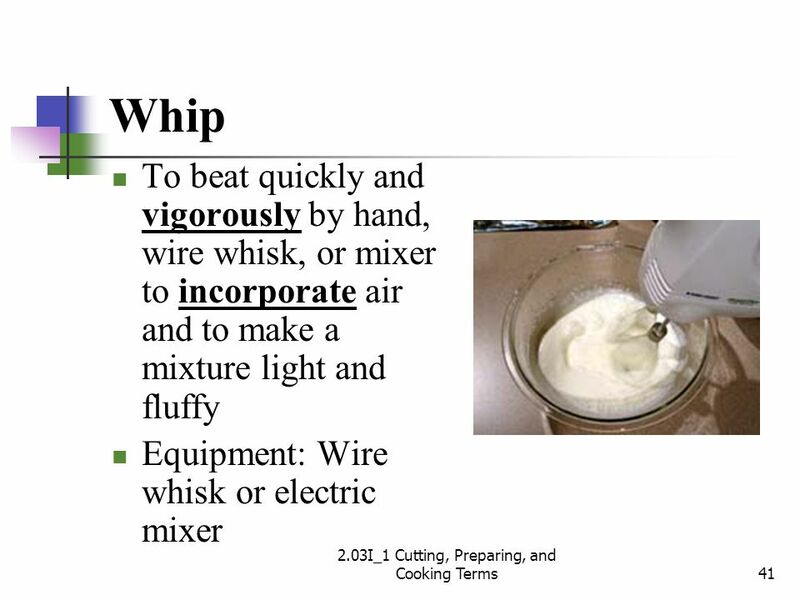 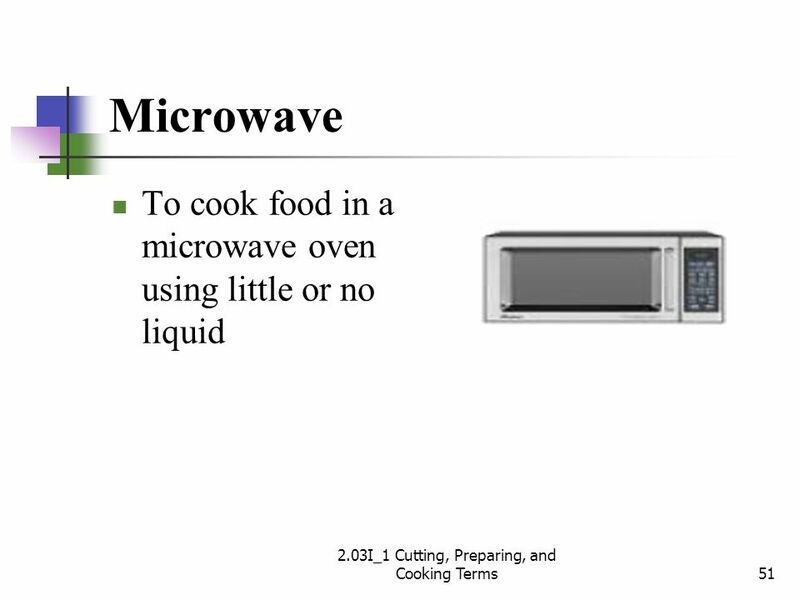 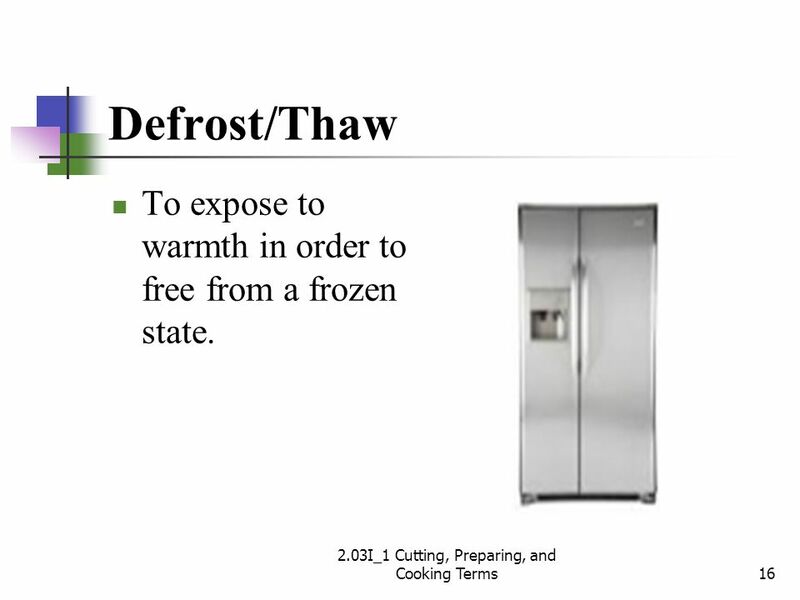 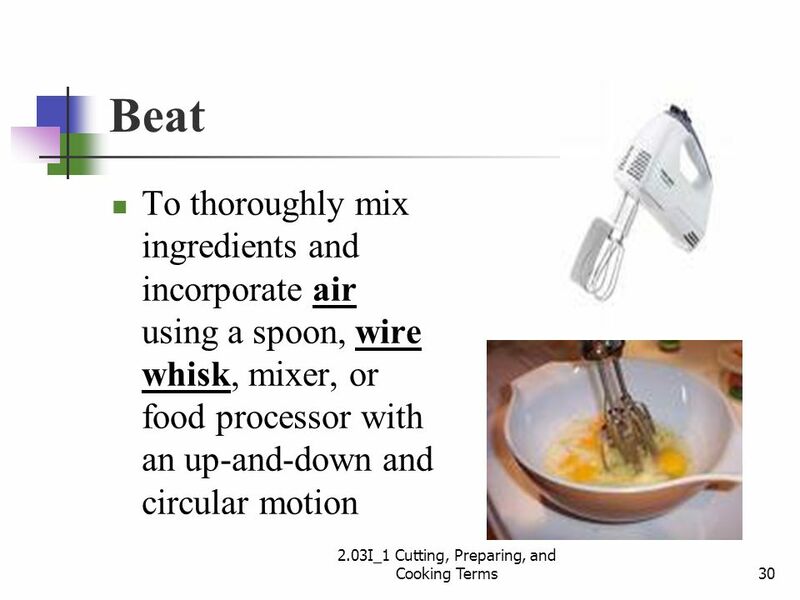 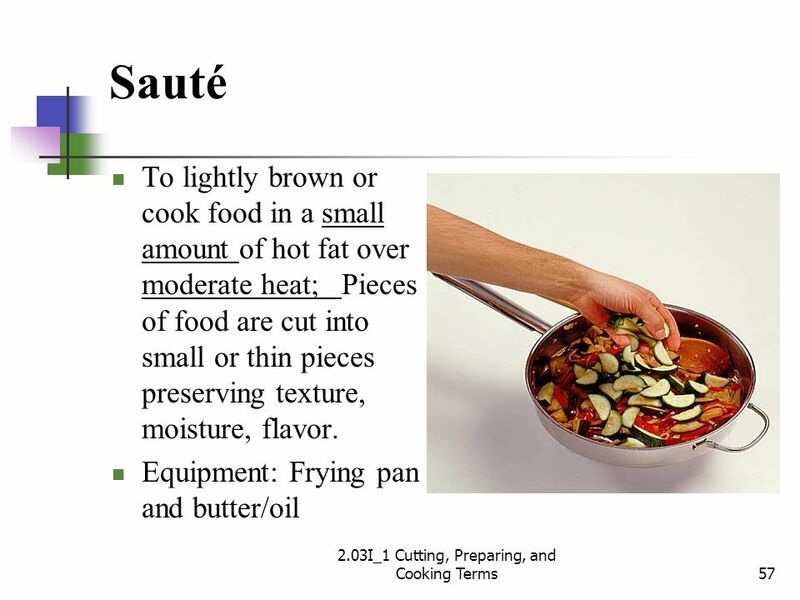 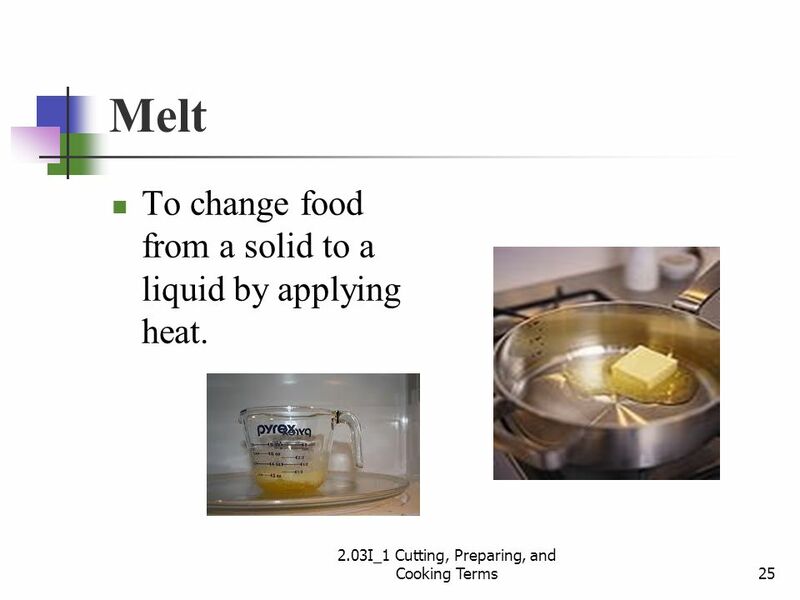 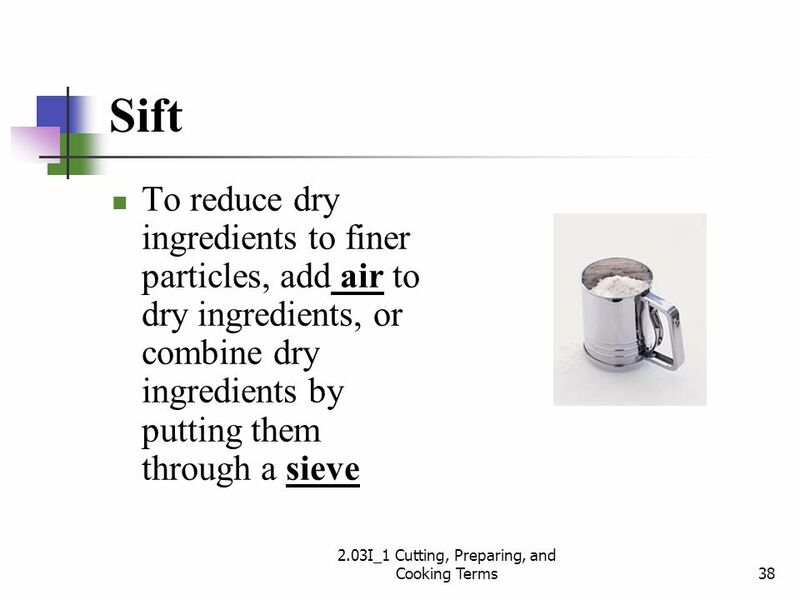 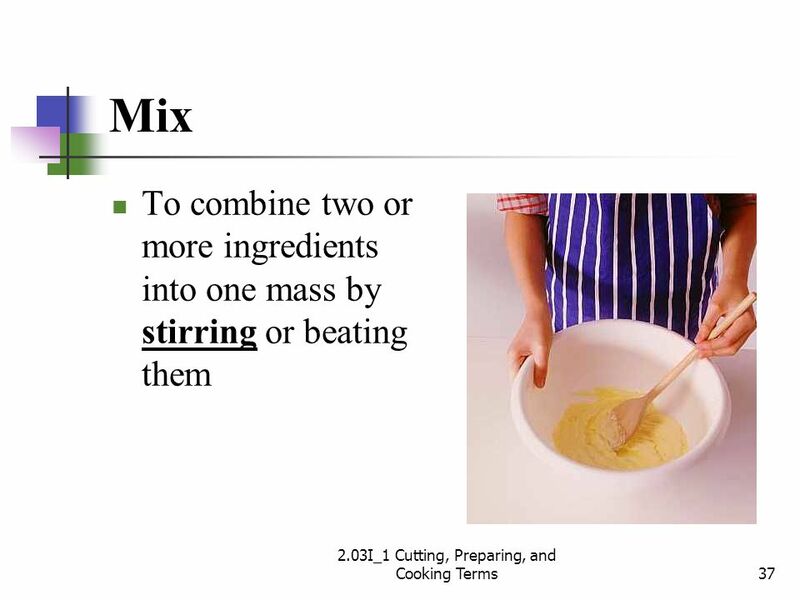 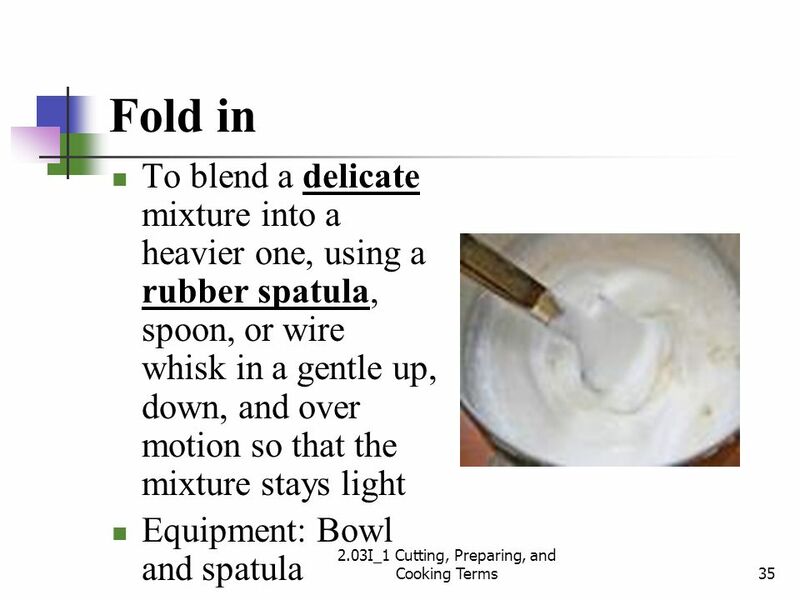 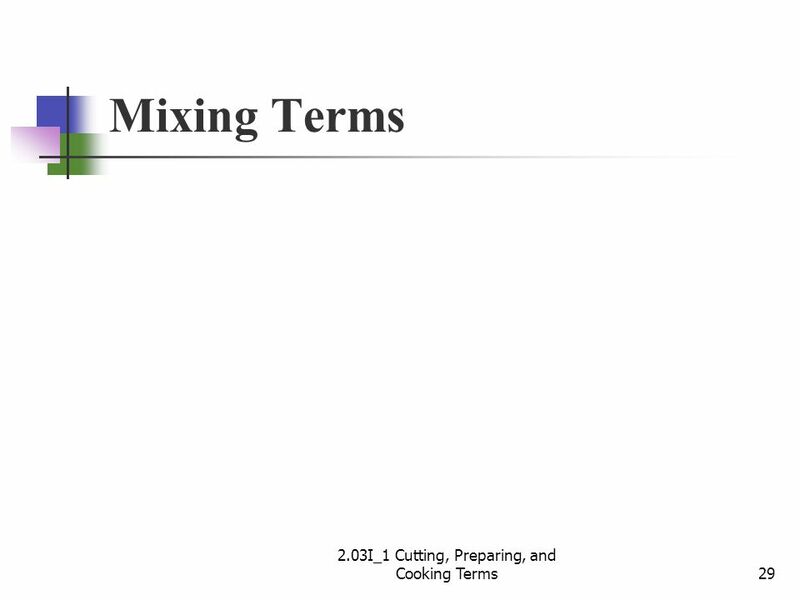 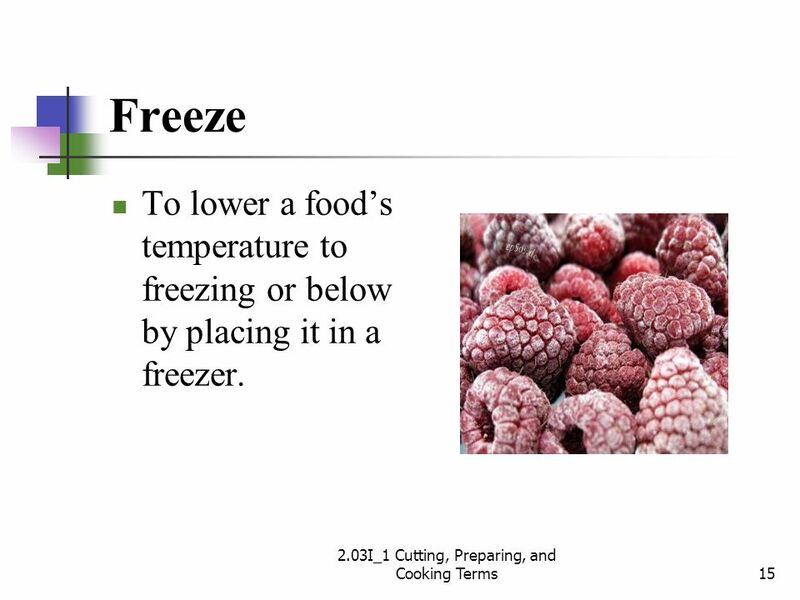 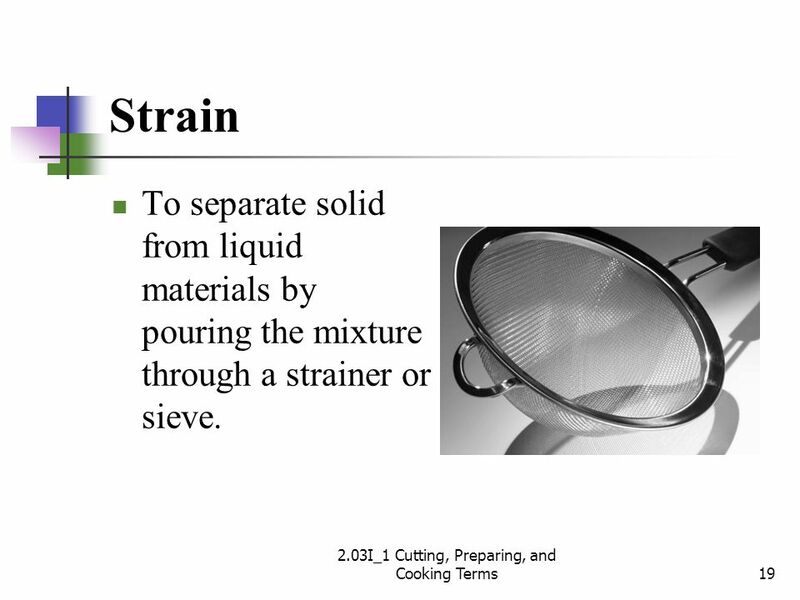 Food and Nutrition – Unit 8 Terms Cutting and Mixing Terms. 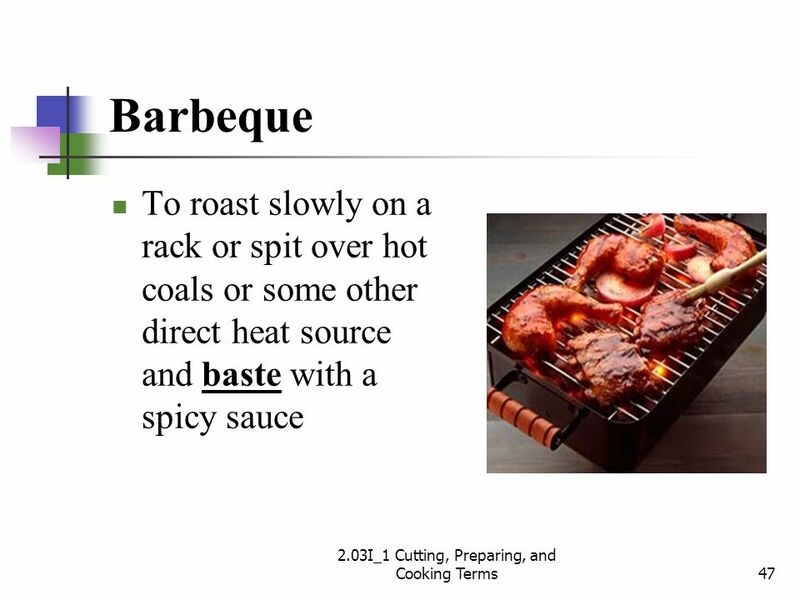 Vivian Baglien. 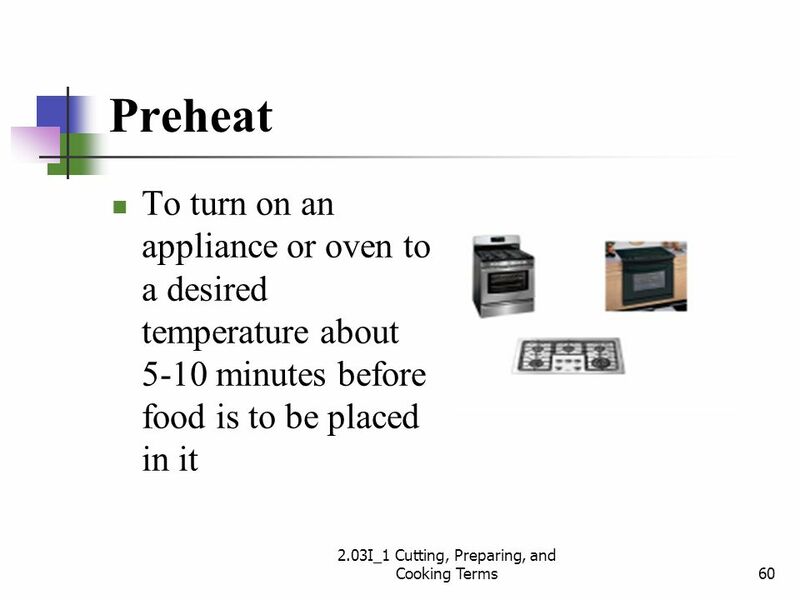 Bake Cooking in an oven or oven-type appliance. 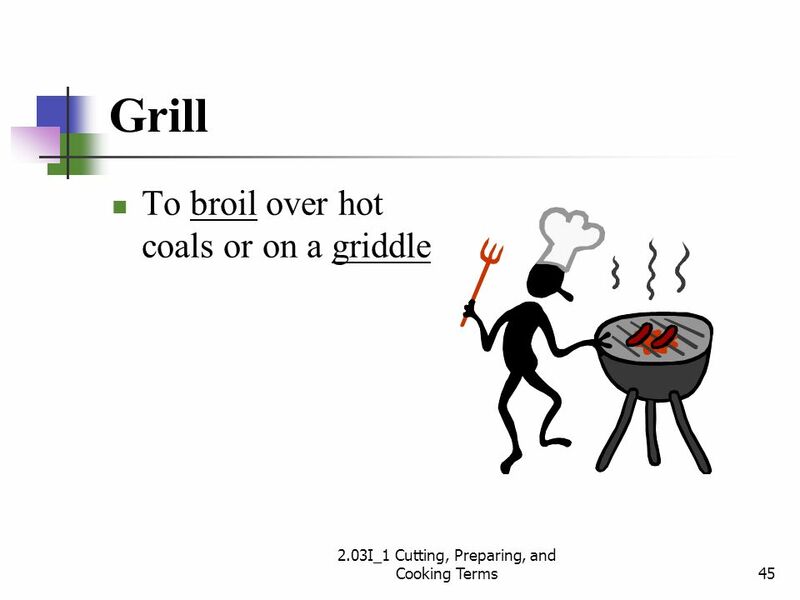 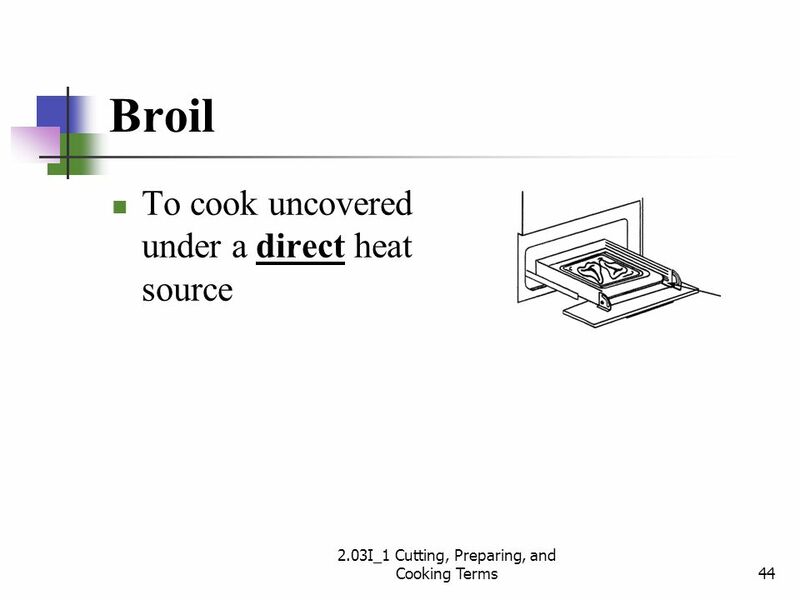 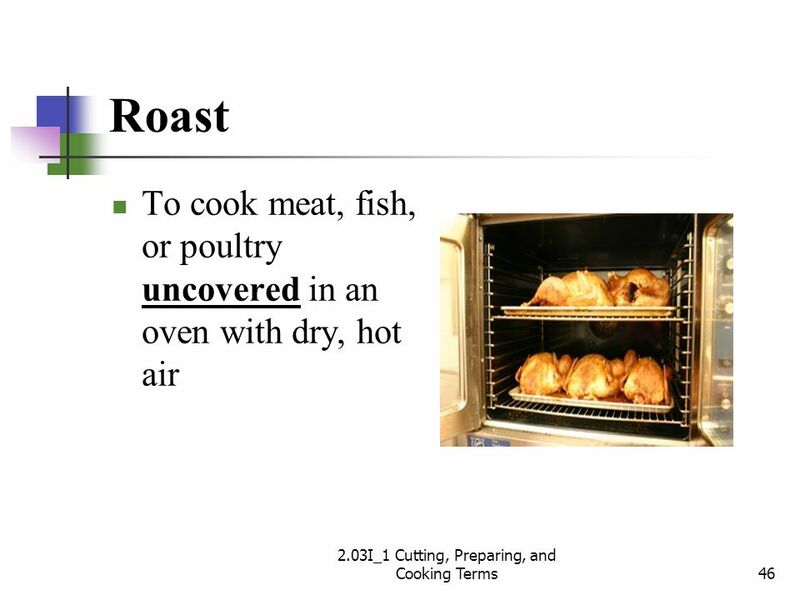 When meat is cooked uncovered it is generally referred to as roasting.